As we head into October, things have taken a turn. 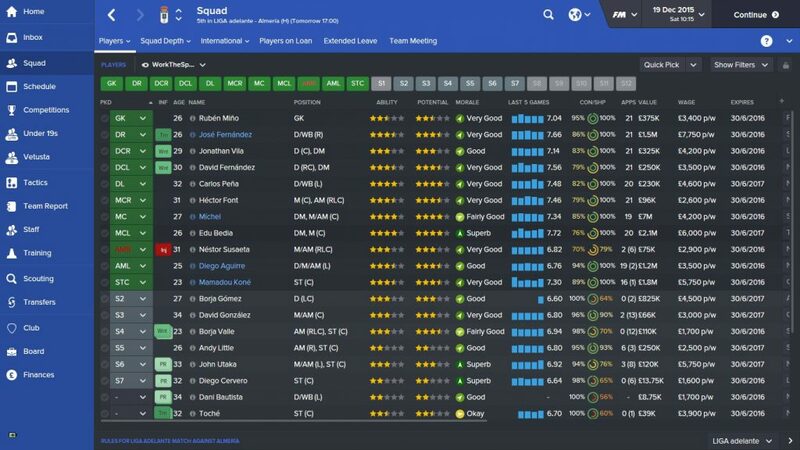 Results have been up and down, though we are progressing in the cup nicely, however that may come to a crashing halt very soon as we have a tricky tie against La Liga side Real Betis in the next round, with the reward for victory in that one being a tasty trip to the Bernabeau against Real Madrid. We are in desperate need of that, as the board have informed me that we are losing an astounding amount of money every month in their monthly round-up emails that drop into my inbox. 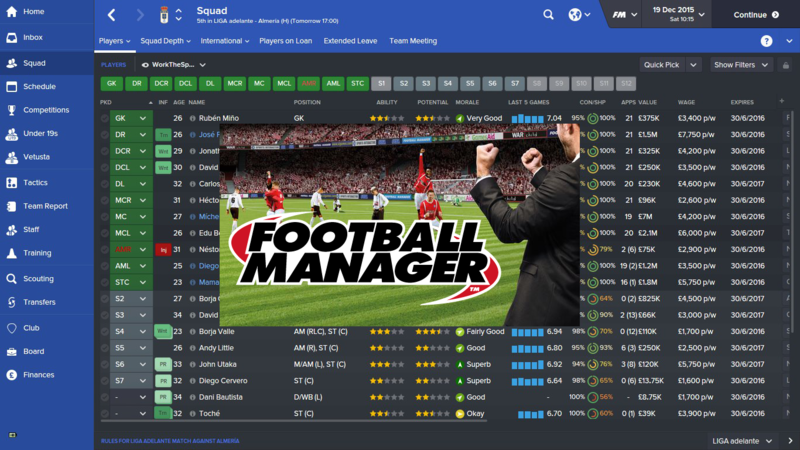 I have been in constant discussions with the board over the past few weeks, as I’m looking to desperately add some coaches to our ranks (I’m far too busy in training currently). To my surprise, they eventually acquiesce to my weekly badgering by allowing me to add one – ONE! – more coach to our ranks. I get on the phone immediately and contact one of my old pals from my playing days, Paul Musselwhite, who’s currently providing Scunthorpe with his goalkeeping expertise. I offer Paul a tasty £1,400 a week and he’s immediately on the plane to lovely sunny Spain. Off the field I’m having to deal with almost-daily complaints from members of the squad who aren’t featuring regularly in my starting line up. Unlike that famous Tinkerman Claudio Ranieri (he’s a nice guy, but his appointment at Leicester is going to end badly, just you watch…) I like to stick to a consistent starting line up. After all, consistency breeds success. My star striker Mamadou Kone has returned from injury and immediately started making up for lost time by netting 5 goals in 8 games. The money situation at the club is worrying me though, as the board have now reduced transfer income down to just 10%. Nevertheless, regardless of the perilous financial situation we are in, the board somehow sanction the transfer of Mahatma Otoo for a fee of £210,000 from Norwegian side Sogndal, and the 23 year old Ghanaian striker will be a very welcome addition to the squad. He boasts a career record of almost 1 goal every 2 games (102 in 208 to be specific) and he could provide me with a vital goalscoring boost, and may even lead me to change my tactic to a more old school 4-4-2. League-wise, we are sitting in eighth as we enter November, and it is now that the board inform me that they are happy with the league performance at this stage of the season. Before the season, they set me the target of finishing in a comfortable mid-table position. Needless to say, I have much loftier ambitions, but only time will tell if I can achieve them.